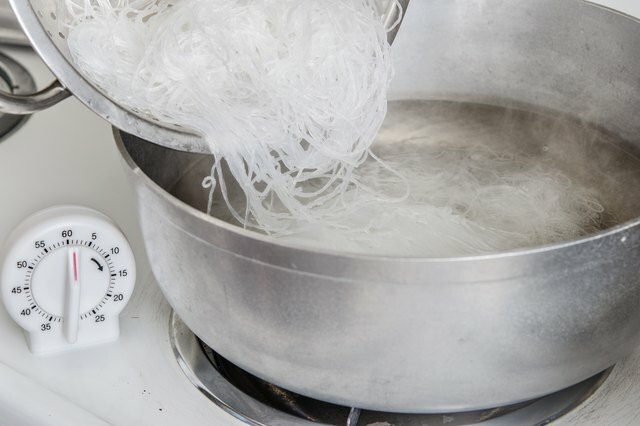 how to cook Silk noodles? 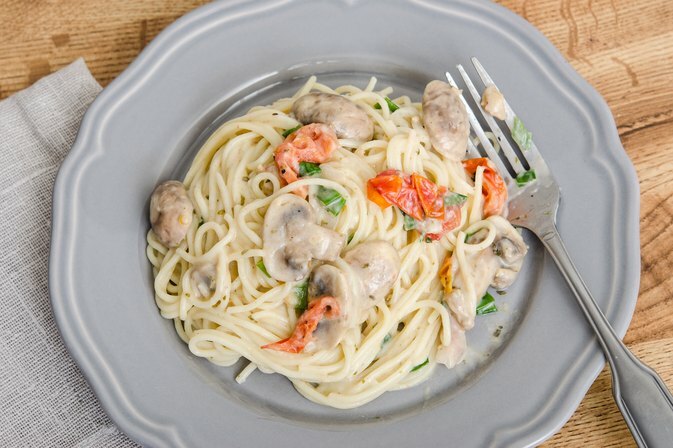 The word vermicelli literally means “little worms,” and refers to the shape of this type of pasta -- long strands thinner than spaghetti. People use vermicelli in Italian dishes, as well as many other ethnic cuisines. Vermicelli is especially popular as part of Asian menus, and usually is made from rice or wheat. You can serve it with sauces, in salads or fried and used as an ingredient for other dishes. You do have to cook vermicelli in a manner specific to the type of grain from which it is made. 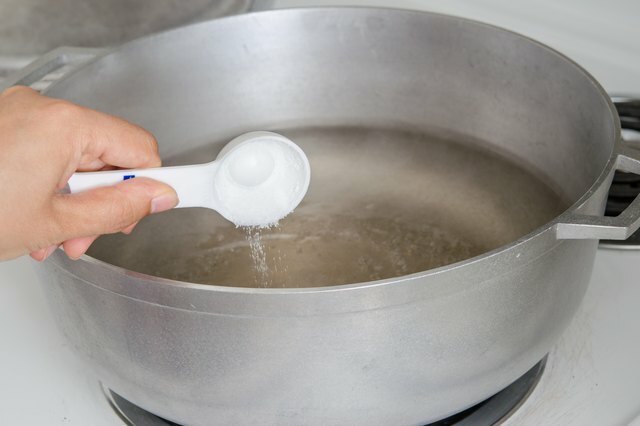 Fill a large saucepan with cold water and heat until it is boiling vigorously. You need at least five or six quarts for 1 lb. of uncooked vermicelli. Once the water is boiling, add 2 tbsp. of salt. Add the vermicelli and stir at the beginning to help it cook evenly and avoid clumping. Cook for eight to 12 minutes. 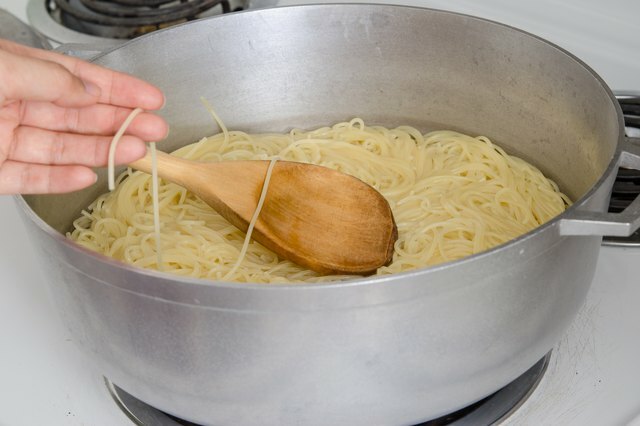 Like all pasta, vermicelli cooks quickly, so use a stirring spoon or fork to take out a strand and taste-test it to see how close to done it is. When fully cooked, the vermicelli should be firm and tender. 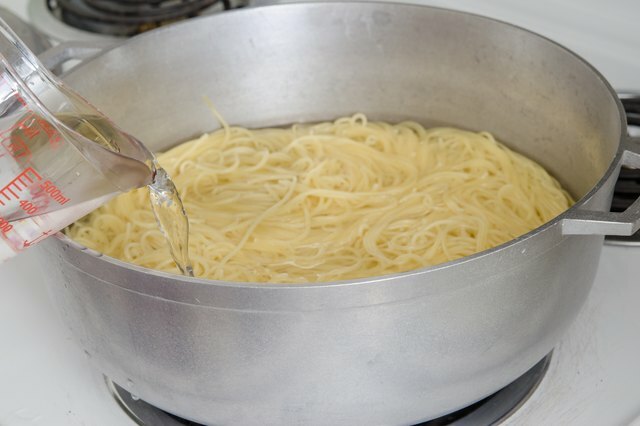 Add a cup or two of cold water to the saucepan as soon as the vermicelli is fully cooked. This will cool the vermicelli and prevent it from continuing to cook. Don’t rinse the pasta. Use a colander to drain the excess water, and the vermicelli is ready to serve. Place rice vermicelli in a pan of hot water to soak for several minutes. It should be soft enough to eat. Soaking usually takes five to 10 minutes. Drain the soaked rice vermicelli in a colander. 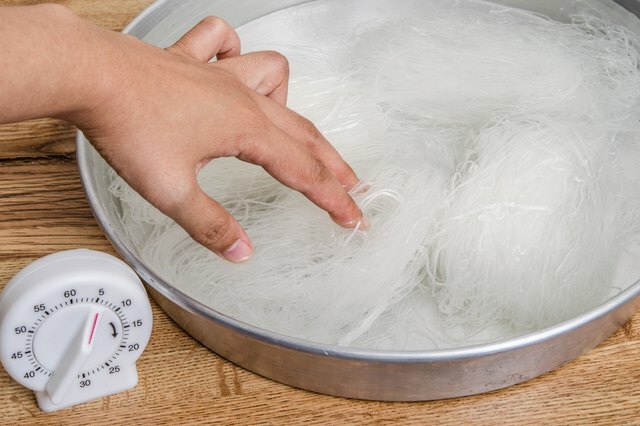 If you are using rice vermicelli as an ingredient for another food item, follow the recipe instructions for further preparation of the noodles. Otherwise, proceed to Step 3. Place the soaked vermicelli in boiling water for two minutes. Drain and serve. 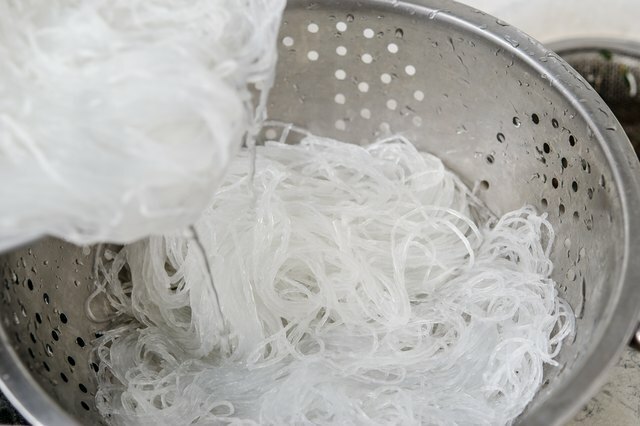 Asian cuisine makes frequent use of vermicelli as an ingredient in other dishes. For example, you might want to deep fry vermicelli and crumble the crisp noodles into an entree you are preparing. Stir frying vermicelli is another common technique for many Asian dishes.